Seems like a valid question to me. Not all of us are happy with a gym environment and not all of us have access to a bar. So the brothers show a series of 5 basic ideas, and some variations, for doing pull-ups without a bar. Some of the ideas are really simple and the presentation is a lot of fun. The brothers are really Parkour adepts, but I love the way they come up with alternative solutions for exercising that are useful for anyone. You’re merely stupid and weak-headed, right? Ready for the loony bin. My advice if this happens to you is to walk out of that surgery and never look back. Find someone who is capable of seeing you as a human being and not just a series of moving parts. We underestimate the power of the mind to affect our health at our peril. Even if the doctor is right and the symptoms are entirely in your mind, that doesn’t mean you’re not ill. It just means the illness is in a different place. There have been numerous studies which show the power of the mind in healing. A lot of people feel better just by fixing a doctor’s appointment. There have been controlled studies where patients healed better on a placebo than using the prescribed drug for the problem (not really surprising if you consider the crap that goes into patented drugs). You’ve heard of Quantum and Newtonian physics? Well, there’s Quantum and Newtonian medicine too. Let’s say you have a pain in your knee. You go to the doctor and he looks carefully at your knee. He might take an Xray. He might suggest an exploratory operation. He might tell you that your cartilage is worn out. But the chances are, he won’t examine the rest of your body to find out if something else is causing the problem in your knee. Essentially, he’s looking at the knee as the site and the cause of the problem. This is Newtonian medicine. You look at the result, but you don’t necessarily search for its real origin. Quantum medicine is when you look at the person as a whole and try to understand the forces at work behind a problem. A physical problem may very well have its origin in your mind, your emotions, your experiences or in a completely different part of the body from the site of the pain. It’s important to realize this, because until you get to the root of the problem, it will never really be solved. This is where good nutrition, for example, or tools like tapping come in handy. Last summer, I talked to a school friend that I hadn’t seen for some years. 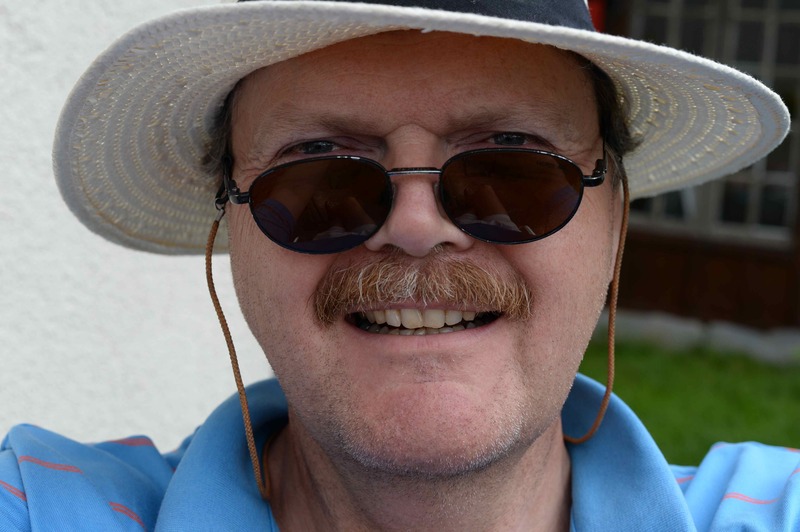 He was a GP (General Practitioner doctor) for many years after leaving school and one of his tasks these days is to go round medical surgeries in the UK and verify ‘best practices.’ I suggested that one way of tackling the soaring health costs that bug the UK – or any other developed country for that matter – might be to use more alternative medicine. ‘What about nutritional advice?,’ I said. ‘No scientific evidence that it makes any difference,’ he replied. To be fair, the medical care system in the UK is so blinkered that a doctor suggesting alternative protocols can lose his right to practise. It does, however, indicate the problems that individual patients face in using conventional medicine. ‘Let food be thy medicine and medicine be thy food,’ said Hippocrates (he of the Hippocratic oath). Most doctors now practising spent approximately one morning learning about nutrition in the course of their seven years of study. Things are gradually changing, but it’s going to be a slow process. The person in the best position to look after your health is YOU. No one else can be in your skin and no one is going to care about your health as much as you. So if you feel that your health interlocutor is not really listening to you or your concerns, take matters into your own hands. Research on internet, change your diet, do more exercise, try working on your self-limiting beliefs, your traumatic past experiences, even find another doctor who takes your problem seriously. But don’t give up and don’t underestimate the power of your mind, both as a prime cause of illness and as an indispensable tool for healing. Just When You Thought It Was Too Late…. 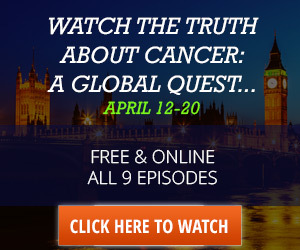 Ty Bollinger and the team at *The Truth About Cancer are giving a last chance this weekend Saturday 23rd and Sunday 24th April to watch the 9 episodes of *“The Truth About Cancer: A Global Quest” for free. So if you missed an episode or two or never got around to looking at the series, here’s your chance to make up for lost time. I watched this series in October 2015 while in Corfu. It doesn’t sound like the sort of thing to watch on holiday, but I sat and watched the first couple of episodes on the terrace in front of the studio we were renting and I was so passionate talking about them that my wife finally had a look. After that, we sat together and watched an episode each morning. The weather was pretty appalling, so you have to imagine us watching on a laptop on this covered terrace, turning the volume up to max when the rain really came down. We were fortunate to have a roof on our terrace, I can tell you. It’s hard to describe the impact these films had on me. I experienced many emotions while watching, but if I had to choose one, it would be anger. Anger that so much suffering is caused by treatments that just don’t work, that so few people seem to be aware that there are natural alternative protocols to the cut, poison and burn strategy of ‘conventional’ medicine. Anger that over $600 billion have been donated and spent on cancer research without anything to show for it except higher dividends for shareholders in the big pharma companies. It’s got to stop. People have to wake up. Your doctor is not necessarily your best friend and advisor. There are conflicts of interest. And in the end, the only person responsible for what you do or allow to be done to your body is YOU. For me, watching this series galvanized me into action. In the last six months, I’ve done more research into health and diet than in all my 60 years (birthday next month!) put together. I’ve always done some kind of exercise, and I’m in fairly good shape, but I’m determined to approach old age on my own terms. I’m tired of hearing people say that it’s normal for someone to be in crappy condition because he or she is old. No, it isn’t. And it isn’t a fatality. We can all look after ourselves better. But for that to happen, we have to value our physical, mental, emotional and spiritual health more than the accumulation of wealth and objects. So my advice is to watch half an hour of the first film in this series. If you don’t like it, then you can go to the mall and buy yourself an ice cream. Your life or the life of a loved one might very well depend on your taking the time to watch these films. Isn’t that worth more than buying a new shirt that you’re never going to wear anyway? 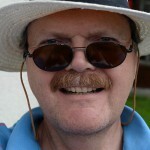 And yes, if you click on the link I do stand to gain a dollar or two as an affiliate. But if you think I’m suggesting that you look at the films so I can earn some money, you haven’t understood the whole point of this website. Have a great weekend, whatever you decide to do. Posted on 22nd April 2016 22nd April 2016 Categories Attitude, Exercise, Health, Lifestyle, Medical Care, Natural CuresTags alternative, cancer, cures, doctors, global, medicine, natural, quest, survivors, truth, worldLeave a comment on Just When You Thought It Was Too Late…. So even if you have missed the start of the films, you still have time to catch the later programs on the internet for FREE if you so desire. You might learn something that will save your life or the life of someone dear to you. You’ll be glad you watched! 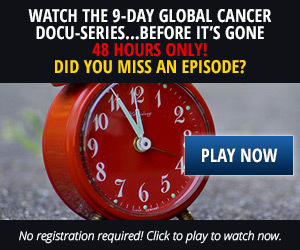 This is a must-see series for anyone who wants to be properly informed about cancer, its causes and remedies. As 1 in 3 of us is likely to be diagnosed with cancer during our lifetime according to the latest predictions, we owe it to ourselves to know what we’re dealing with. This series offers viable alternative solutions to the standard cut, poison and burn treatments that conventional medicine has used for decades and continues to use without any real regard for patients. I guarantee you will come away from watching these films with a new sense of hope with regard to this devastating disease. As Ty Bollinger, the producer says, a diagnosis of cancer need not be a death sentence. Hope you find this invaluable. P.S. * denotes affiliate links. *Dr. Véronique Desaulniers in Episode 2 of The Truth About Cancer: A Global Quest, Ty Bollinger, documentary series, 2015. Much as we would prefer not to think or talk about it, cancer concerns all of us. The current prediction is that 50% of men and 33% of women will be diagnosed with cancer at some point in their lives. And even if we don’t fall ill ourselves, we all have family members, friends or colleagues that we have lost as a result of this scary disease. Unfortunately, there is a lot of misinformation about cancer and much of the scariness resides, not in the disease itself, but in the so-called ‘cures’ that conventional medicine has to offer: surgery, chemotherapy and radiation. 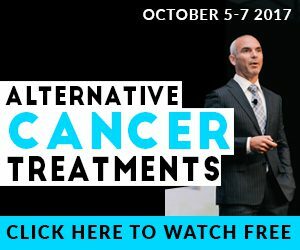 Your doctor will almost certainly not tell you, for example, that chemotherapy is useless in many cases or that the five year survival rate for patients that is attributable solely to chemo treatment is calculated as being 2.1% in the USA and 2.3% in Australia, according to a 2004 Australian study. See also this article which seeks to put this study into perspective from an anti-alternative treatment vantage point. Your doctor will also certainly not inform you of any conflict of interest involved in prescribing a chemotherapy treatment. In many countries, such as the USA and France, doctors receive a significant financial kick-back from pharmaceutical companies when they prescribe such drugs. There are many alternative treatments and natural protocols out there, many of which work astonishingly well. It’s just that people lack the knowledge to make informed decisions about how to deal with cancer and perhaps even more important, how to prevent it. Ty Bollinger of * The Truth About Cancer lost seven members of his family to cancer and its conventional treatments, and as a result, he has made it his life’s work to discover the truth about cancer, to reveal the misinformation inherent in the health industry as we know it and to inform the general public about alternative and natural cures and preventative protocols. His website, films and work literally save lives and give real hope. As he says, a cancer diagnosis need not be a sentence of death. to find out about the real causes of cancer and what you can do about it. Your life or the life of a loved one may depend upon it. 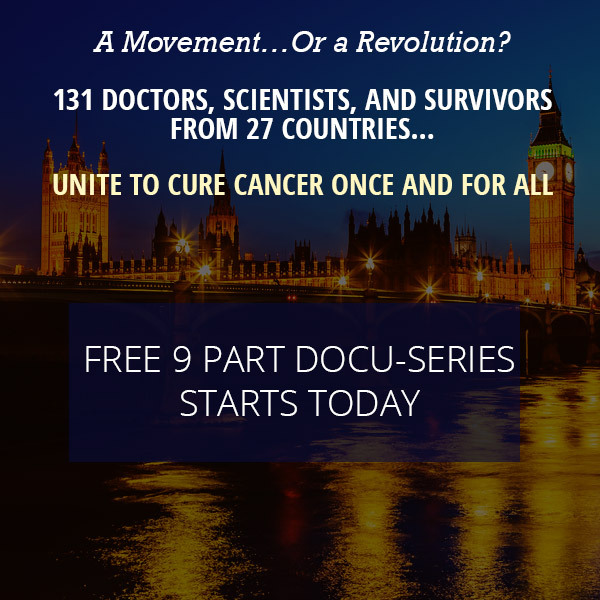 The films contain numerous interviews with specialists, from all over the world in the case of “A Global Quest,” and cancer survivors. The documentaries are extremely well-researched. I can guarantee that you will learn many things from the experience, some of them truly shocking. But the most important thing you will carry away from them is hope.